Internationally renowned event designer Preston Bailey has created the first branded luxury linen collection of its kind which includes this stunning white "Iris" luxury linen. “My decision to do this collection stems from the inspiration my clients have provided me over the three decades of producing events worldwide. Enjoying an insider’s expertise to how colors, styles and textures can transform a room I wanted to offer all brides and clients access to this kind of event transformation in the best way I can without being there myself,” says Bailey. 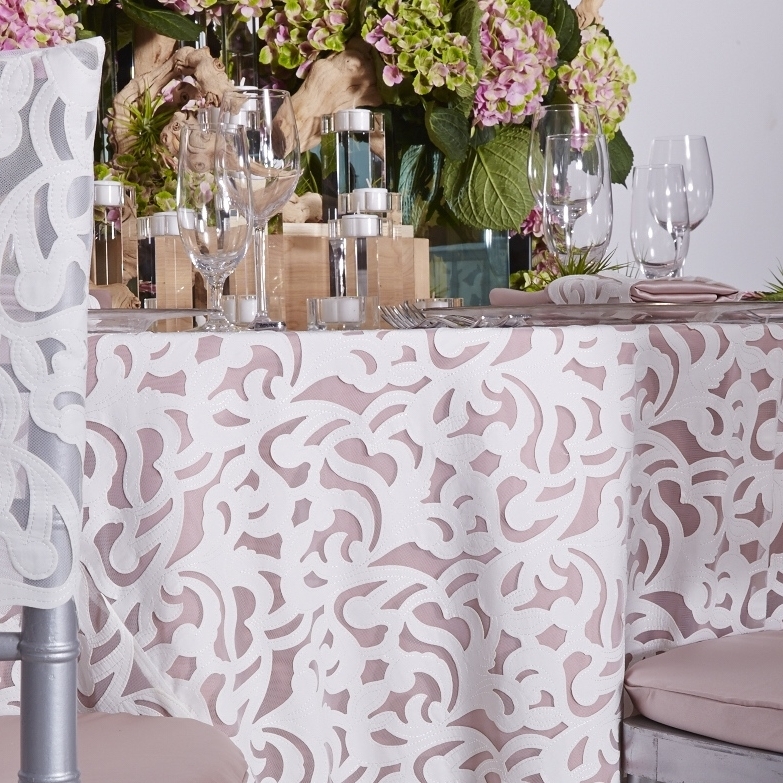 The highly-anticipated collection is exclusive in Australia through Events By Nadia and it features linens and chair covers in a wide range of decor styles, rich colors, unexpected textures and first-of-their-kind patterns.